The first interactive music and multimedia kit of its kind, designed by music therapists for students with autism and other special needs. This social skills music curriculum is easy to use in both the individual or group setting! To listen to song samples, visit the Volumes 1 Book/CD product page here. 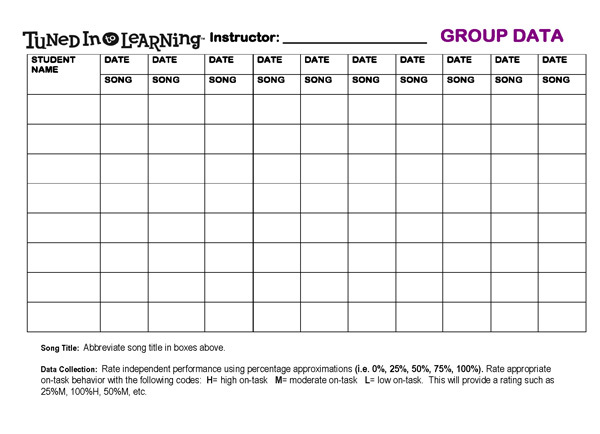 • 7 Adapt-A-Song versions designed to assist in generalization by allowing instructors to adapt songs to varying functioning levels and content areas. 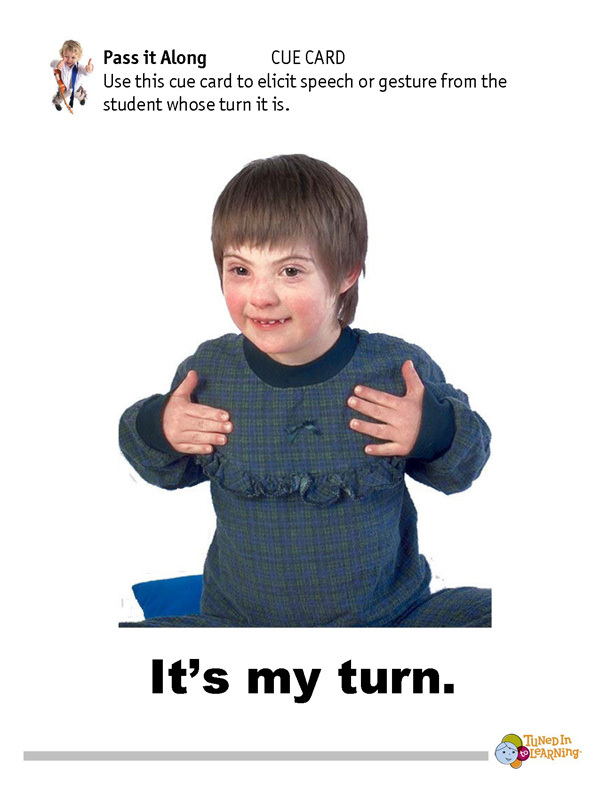 • A how-to instructional video gives viewers a demonstration of the Music CD and Learn-Along book being used with children on the autism spectrum, in addition to an overview of the instructional hierarchy. • 5 songs from the music CD are presented in slideshow video format with interactive student quizzes to test for comprehension. • over 100 pages with more than 140 full color photographs corresponding to song lyrics. • Written social scripts from songs are provided in a large print format for students to read along with. • Sample educational objectives correspond with each song and are written in an IEP-friendly format. 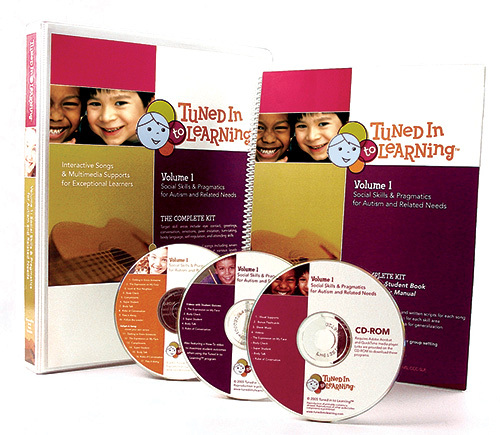 • A detailed instructional hierarchy, tips for generalization, activity adaptations, ideas for using the Adapt-A-Song versions, and a research bibliography are helpful resources to get you started in using the Tuned in to Learning program. 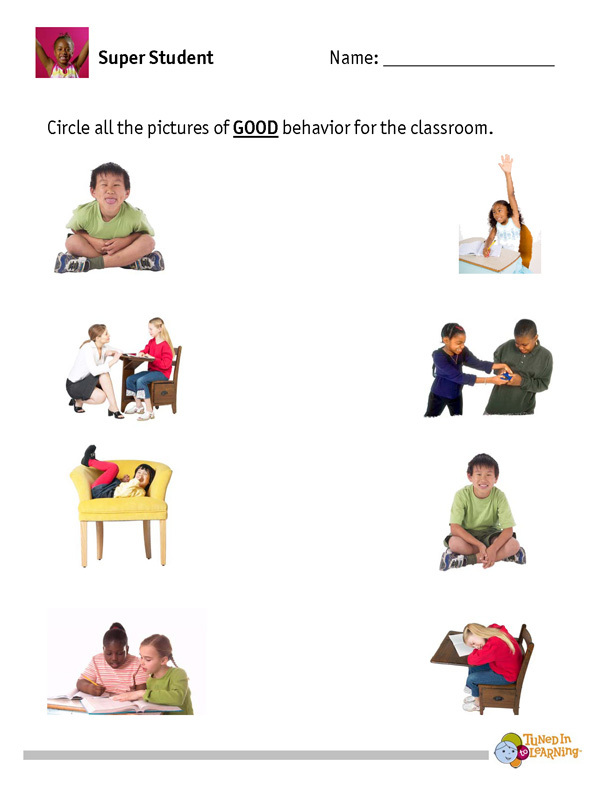 • Spiral bound format allows instructors to present 1 page at a time for students who have difficulty focusing. • The 5 music videos from the DVD are also featured on the CD-ROM for instructors who do not have access to a DVD player. Videos are displayed in a smaller screen format through QuickTime media player. 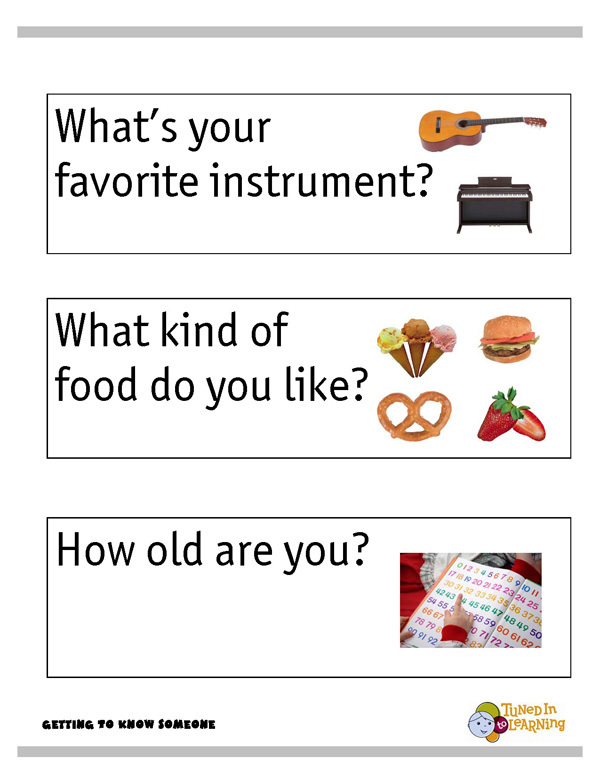 • 69 full color photo and lyrics pages from the student Learn-Along book are ready for you to print out additional copies, post for your students to reference throughout the day, or to laminate. • Bonus flashcards include 30 full color photographs relating to emotions and body language. • Sheet Music provides lyrics, melody lines, and chords for each of the 10 songs. Note: QuickTime Player and Adobe Acrobat Reader are utilized to view videos and visual media on the CD-ROM. Links are provided on the CD-ROM menu to download this software if you do not already have it. Looking for bonus content for Volume 1 including the book in downloadable format, song icons, and flashcards/worksheets? Check out the Volume 1 Companion CD-ROM here.